While Virginia’s New River Valley may be a collection of small towns, the amount of things to do here is anything but small. There are tons of events in the NRV. In fact, there are tons of events in the NRV daily. Whether it’s large, nationally acclaimed annual festivals, or weekly happy hours, these small towns are more bustling than ever. 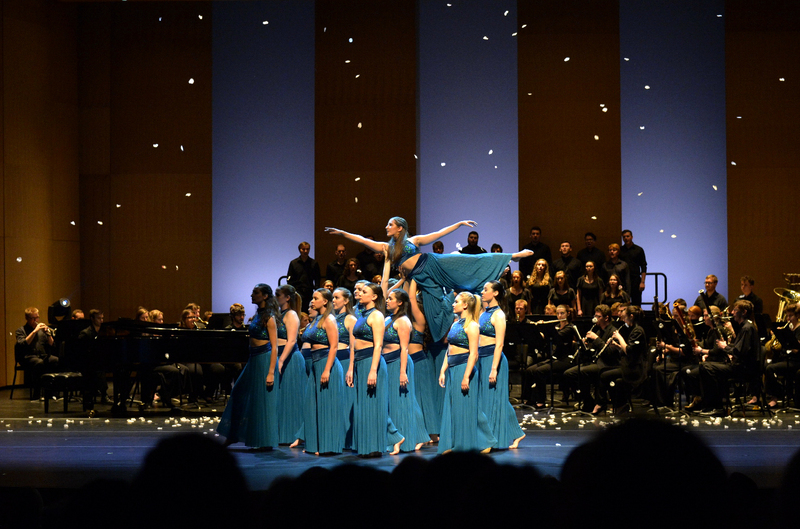 The Moss Arts Center in Blacksburg brings in classical music, dance, modern performance, comedians, and more. 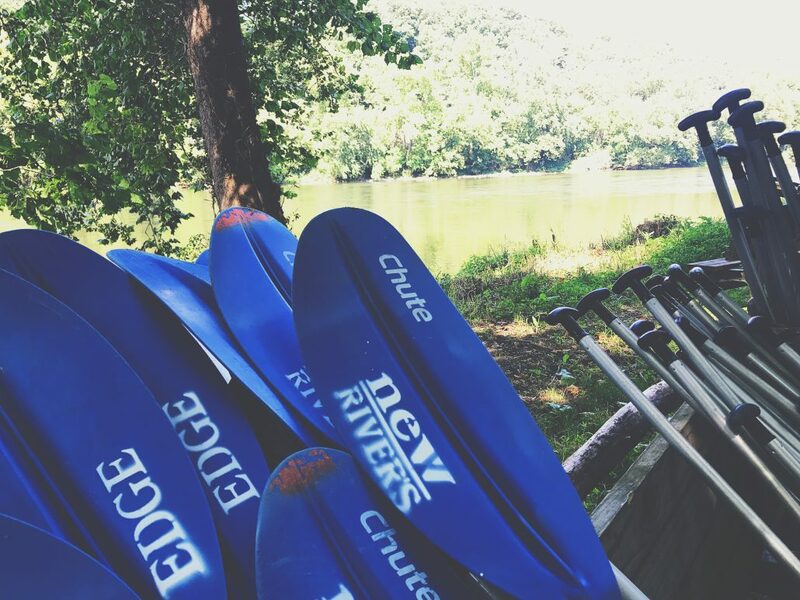 The New River is one of our most beautiful and fun assets, now more accessible than ever with new launches all over Giles County. Pulaski Yankees keep the winning streak alive with dedicated fans piled into Historic Calfee Park every game day. According to Jami Ryan of NextThreeDays.com, a regional website featuring nearly all the events in the NRV, there were 4,927 Featured Events in our region in 2017. That means these events don’t reoccur weekly. That’s right. Almost 5,000 one-time events for residents in the NRV. That comes to 13.5 big events each day. 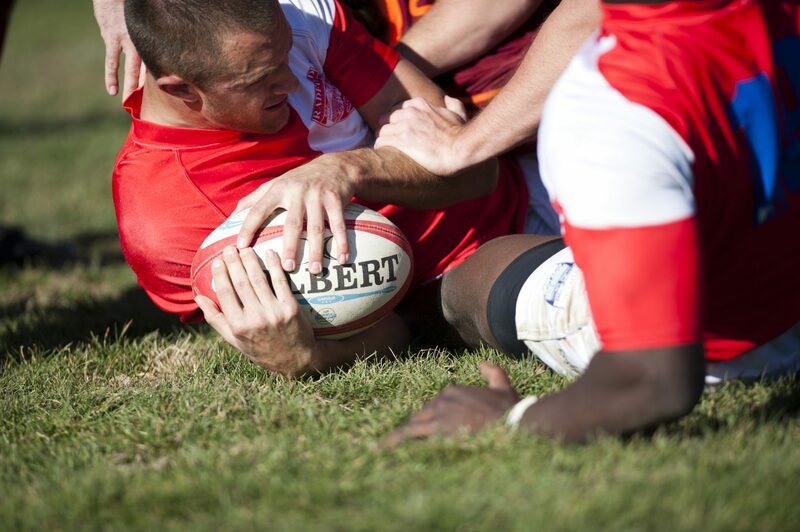 To fight the misconception of lack of events in the NRV, Ryan uses NextThreeDays.com as a place where those events can be easily found: an ever-changing database of fun for all residents of the NRV. It’s about more than just the amount of events in the NRV too; there is a solid variety as well. Because he sees almost all the events in the NRV, Ryan understands the diversity of activities offered here. On top of that, there’s also plenty to do that’s free. Who doesn’t love free? 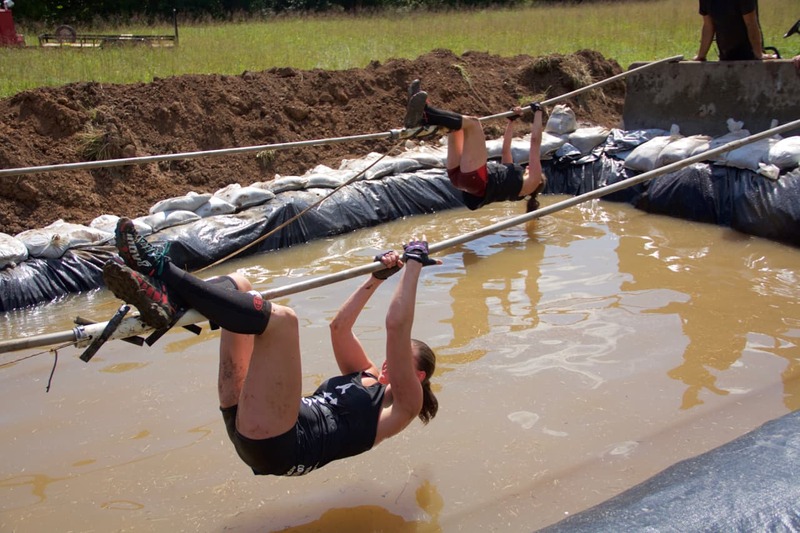 The Muddy ACCE Race in Giles County is one of the many events in the NRV. The sign up fee for this muddy adventure race help fund local students’ community college tuition. If you’re looking for something to do or specific events in the NRV, check out what’s going on at NextThreeDays.com. The same information also populates to the Live Here page. For more information about Virginia’s New River Valley, check out Our Region and what it’s like to Live Here. 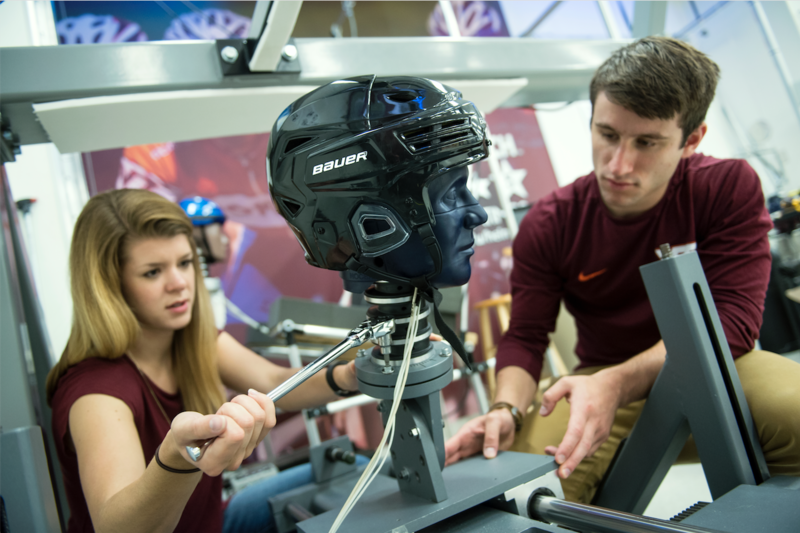 Blacksburg, VA – In a recently conducted survey by The Princeton Review, Virginia Tech students ranked the #19 happiest students on college campuses in the U.S. The study covered almost 400 colleges and universities and was based on real student input on their college experience. To see the complete Top 20 visit The Princeton Review or Town & Country. 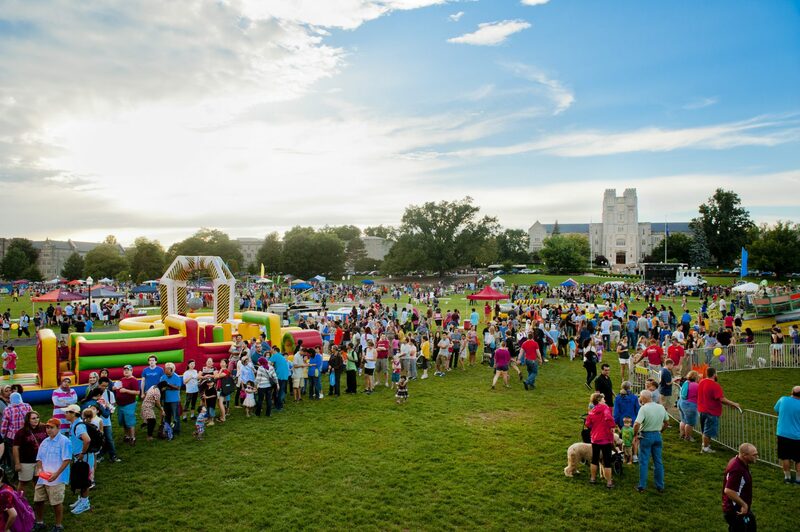 Blacksburg, VA – Niche, a company that helps people find schools and communities, ranked the Virginia Tech campus as the No. 3 best college campus in the U.S. The ranking was based on information from the U.S. Department of Education, which included statistics and student reviews of classrooms, labs, performance venues, housing, food, rec facilities, and more. 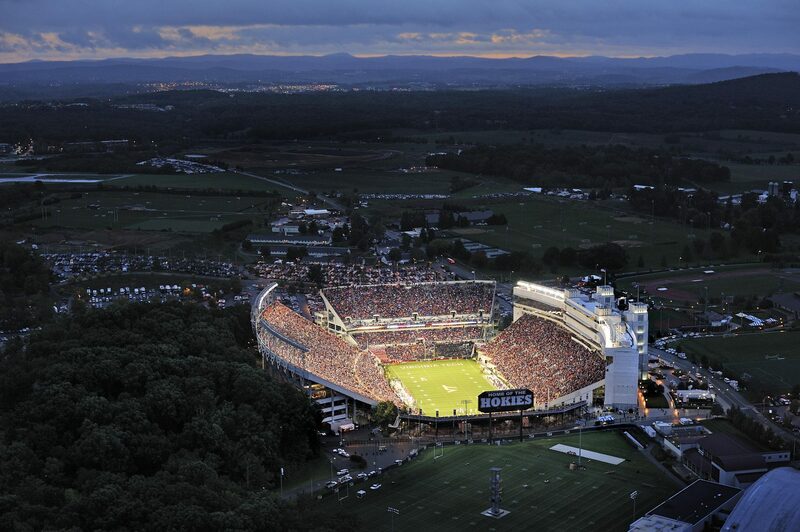 Virginia Tech has a beautiful campus and many amenities for students to live healthy and fulfilling lives. View some photos below. 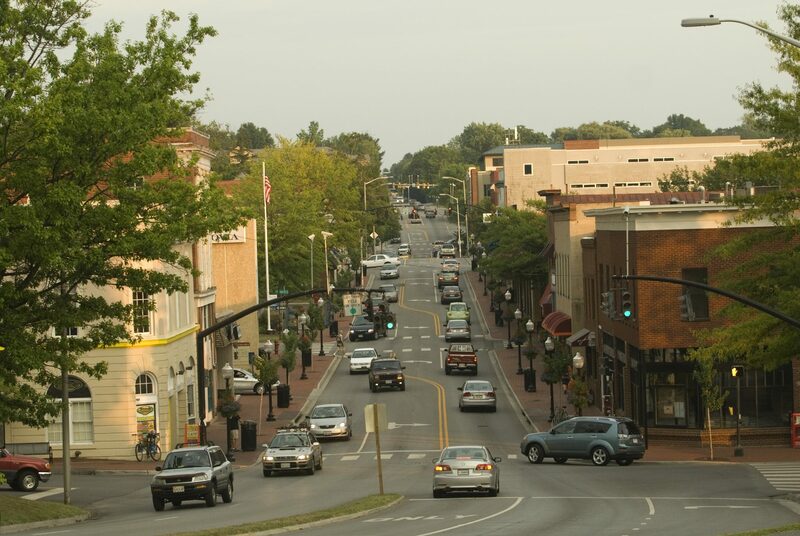 Downtown Blacksburg offers retail and excellent food options right off campus. Personal fitness at McComas Hall. The Blacksburg Farmers Market is open twice a week and offers fresh produces, local coffee and kombucha, and more. 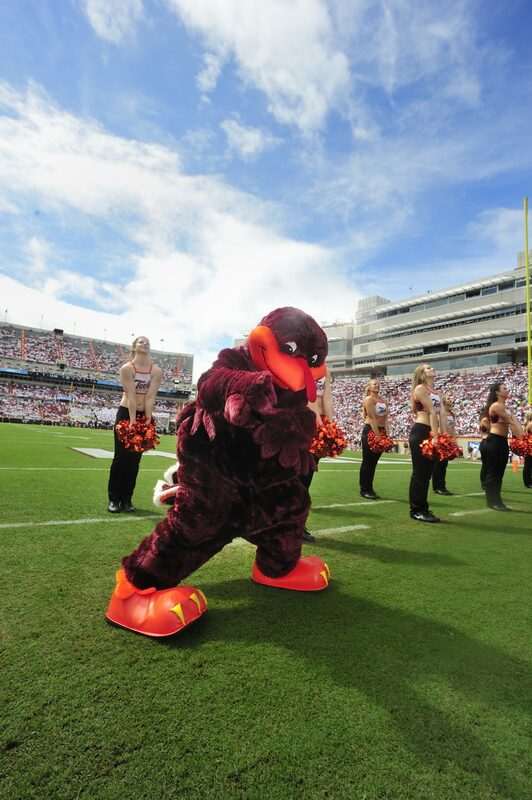 The Hokie Bird helps the HighTechs hype up students at a VT football game. See the complete Top 10 at Niche or Town & Country. The NRV is also home to three other outstanding higher education institutes: Radford University, New River Community College, and the Virginia College of Osteopathic Medicine. 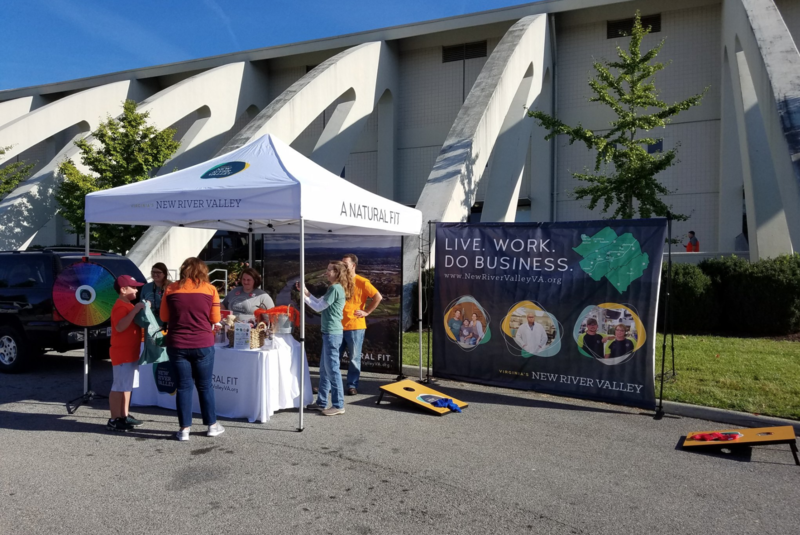 NEW RIVER VALLEY, VA- Virginia’s New River Valley (The Blacksburg-Christiansburg-Radford MSA) ranks among the top metros that are attracting young professionals while maintaining an affordable cost of living. According to PEW, the NRV is among 10 metros that are growing almost as quickly as other well-known, attractive cities for young people like Silicon Valley or Austin, TX, but have more affordable costs of living. These metro areas ranked high for affordability, education, and growth in young professionals. The data comes from the American Community Survey and was analyzed by Stateline. 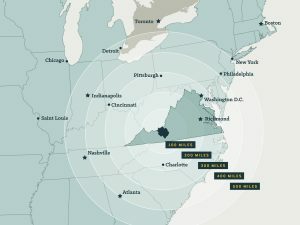 Virginia’s New River Valley, has a unique opportunity for young professionals. Our region enjoys the upscale amenities residents might find in larger urban areas (like public transit and fine dining), while maintaining the perks of low-cost living and small-town charm (like low traffic, and access to outdoor recreation). 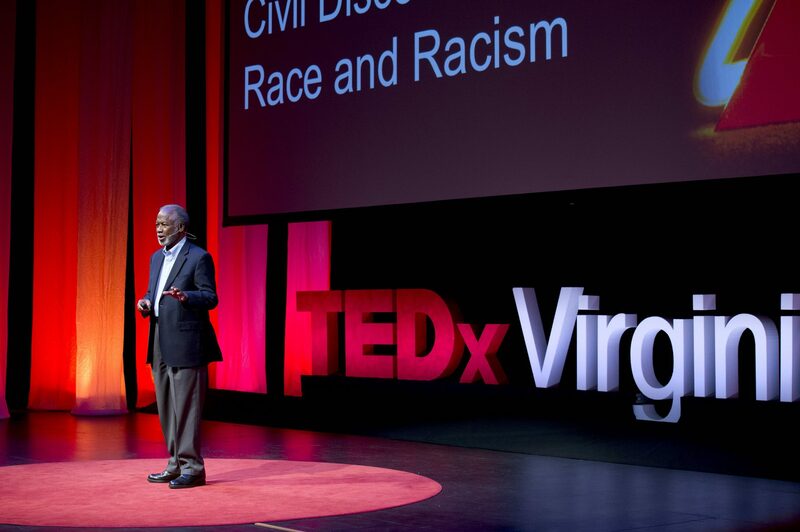 The presence of Virginia Tech, Radford University, and New River Community College elevate the importance of education in the region and provide excellent amenities in arts and culture and opportunities for young people and businesses alike to interact with the universities and benefit from their services. The NRV was also ranked a top destination for college graduates based on eight economic and quality-of-life factors that AIER found to influence migration patterns of college grads ages 22-35 among 260 metro areas, large and small. A few of the factors contributing to the New River Valley’s high ranking included its favorable labor market conditions, affordable housing rents, ability to get around without a car, and density of people with a college degree. 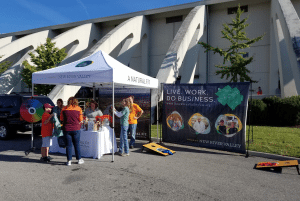 YPs can find plenty of support in the NRV with clubs and networking opportunities such as Up on the Roof, Blacksburg YPs, The Newcomers Club, and more. 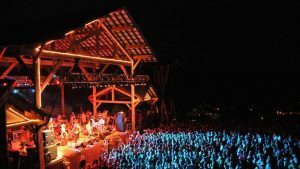 Plus, the NRV is home to a myriad of festivals and burgeoning local music scenes that keep up with the times while remembering the roots of SWVA throughout history. For more activities and insight on what it’s like to live in the NRV, check out the Live Here tab! 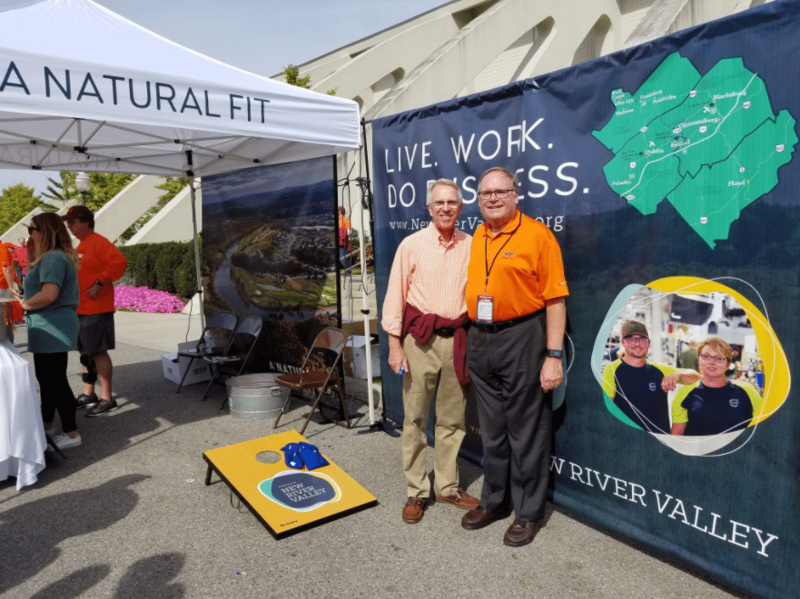 ### Virginia’s New River Valley: For those searching for an inspiring place to live and do business, Virginia’s New River Valley provides both an eclectic small town atmosphere and an innovative, collaborative business community with a loyal, highly skilled, and educated workforce. Offering the best of both worlds – magnificent mountains, cutting-edge research, arts, entertainment, and education – it’s A NATURAL FIT. Onward NRV: Onward NRV is a public/private, regional economic development organization whose mission is to attract and retain world class jobs, investment and talent in Virginia’s New River Valley. It’s also a movement where leaders from business, government, and higher education work together to promote the economic vitality of the region. 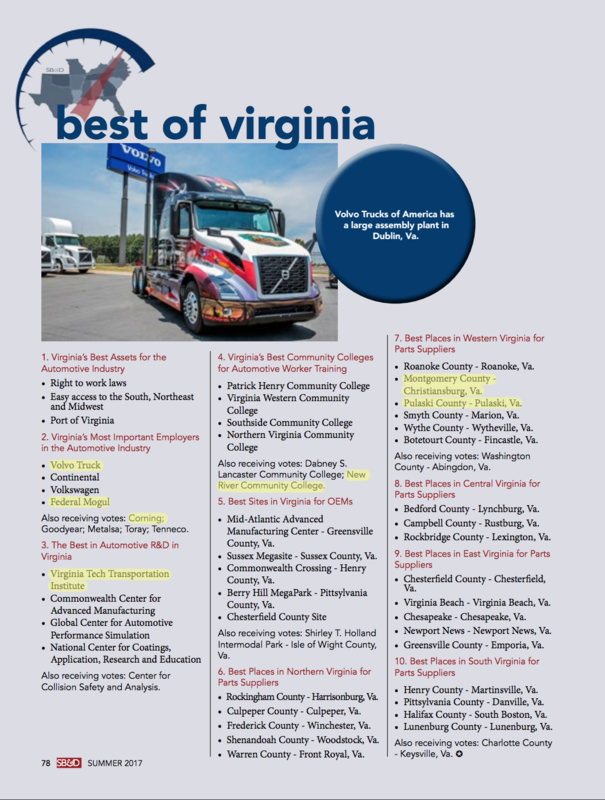 NEW RIVER VALLEY, VA– Virginia’s New River Valley is mentioned as some of the best spots in Virginia by Southern Business & Development magazine’s Best of the Southern Auto Corridor list. In four out of the ten categories, the NRV was mentioned 7 times. Businesses and assets mentioned include: Volvo, Federal Mogul, Corning, VTTI, and NRCC. 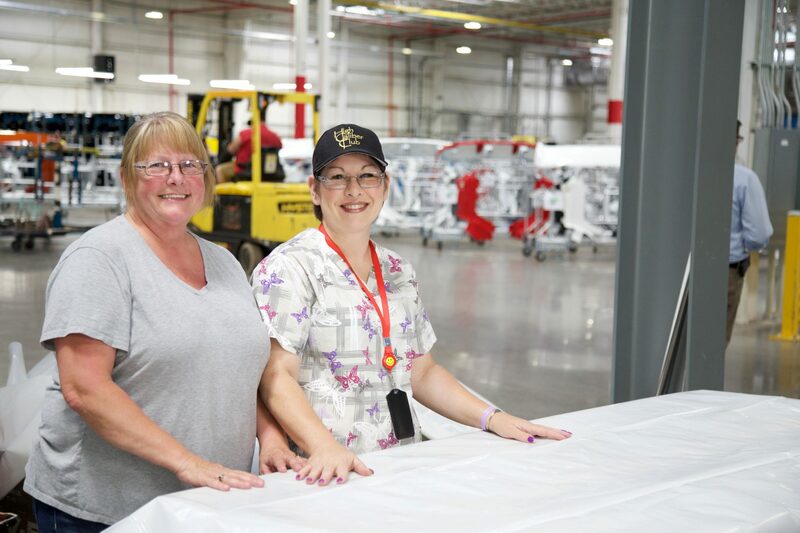 The Volvo Trucks assembly plant is located in Dublin, VA in Pulaski County. The plant is Volvo’s largest hub for manufacturing and employs approx. 2,000 people. 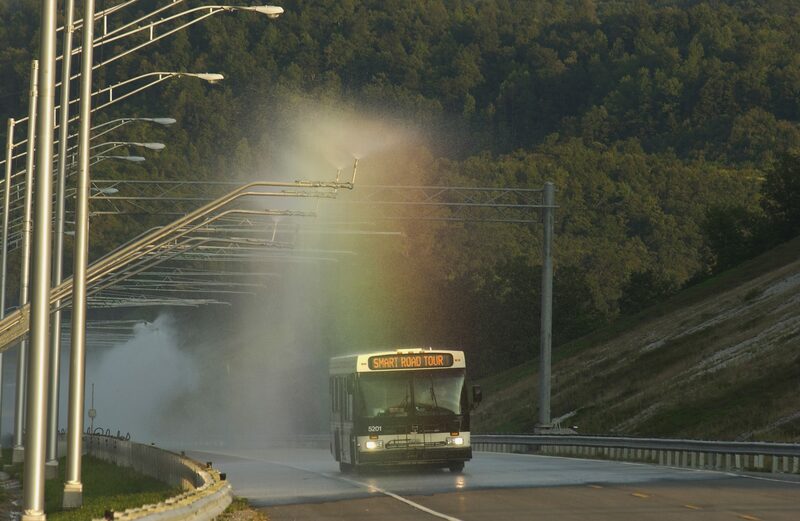 The Virginia Tech Transportation Institute has a 2.2 mile Smart Road that can simulate weather like rain, snow, or fog, and is used to advance transportation and autonomous technology. 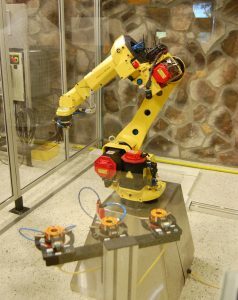 New River Community College has one of the best programs for automotive worker training. There is even a dedicated staff member at NRCC that works to support Volvo’s training needs. 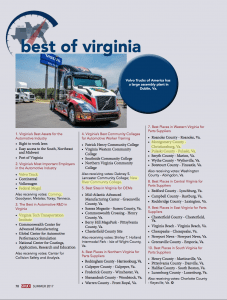 In general, Virginia is an excellent place to locate a business in the automotive or advanced manufacturing industry. The law structure and central location to South, Northeast, and Midwest markets make it a very strategic location. 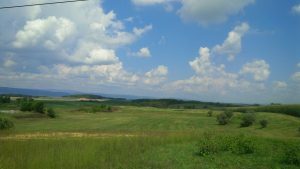 Specifically, I-81 runs through the heart of the New River Valley and the region in close proximity to interstates 77 and 64 via I-81, making interstate access easy and convenient. Montgomery and Pulaski counties were also mentioned as some of the best places for automotive parts suppliers. There are sites in both counties that would make an excellent fit for businesses in the automotive or advanced manufacturing industries. In Montgomery County, the Falling Branch Corporate Park is an excellent option. 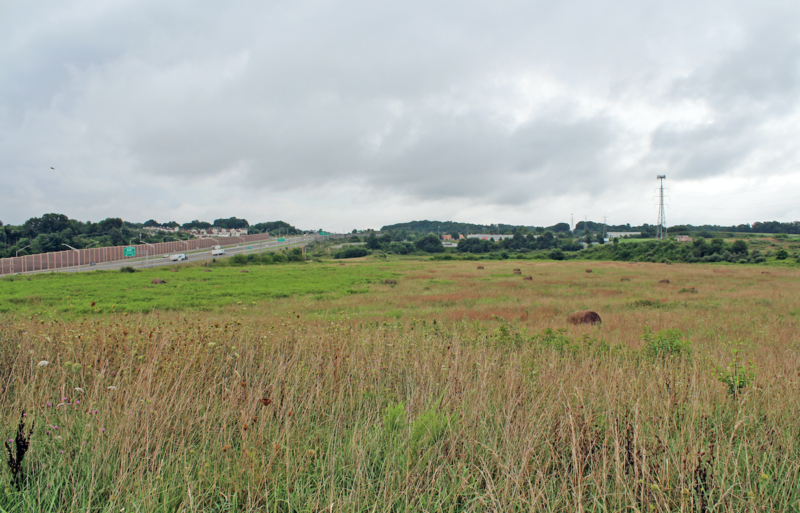 The park has graded sites ranging from 3 to 16.7 acres and the county recently acquired an additional 124 acres to develop larger sites. 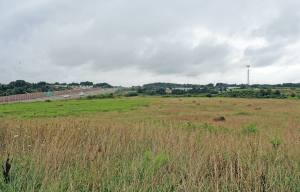 Just off I-81 and highway 460, this park is ready for a new tenant. Pulaski County also offers the New River Valley Commerce Park, this site is certified by McCallum Sweeney as an American Electric Power (AEP) Quality Site. 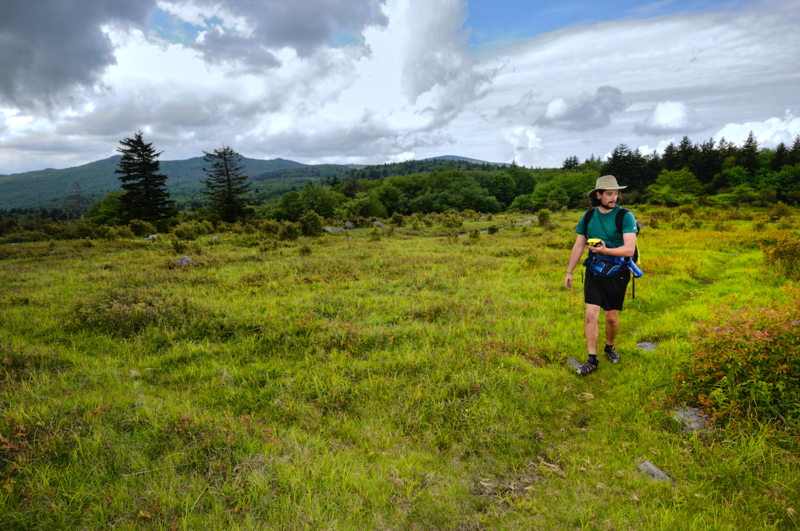 The park has robust infrastructure and boasts sites up to 120 acres. SheaDawn Park, a private development in Pulaski County, also boast excellent infrastructure and a rail spur. 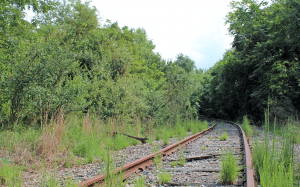 Twenty-two miles of the Crescent and Heartland rail corridors converge in Virginia’s New River Valley, which is easily accessible at ShaeDawn. 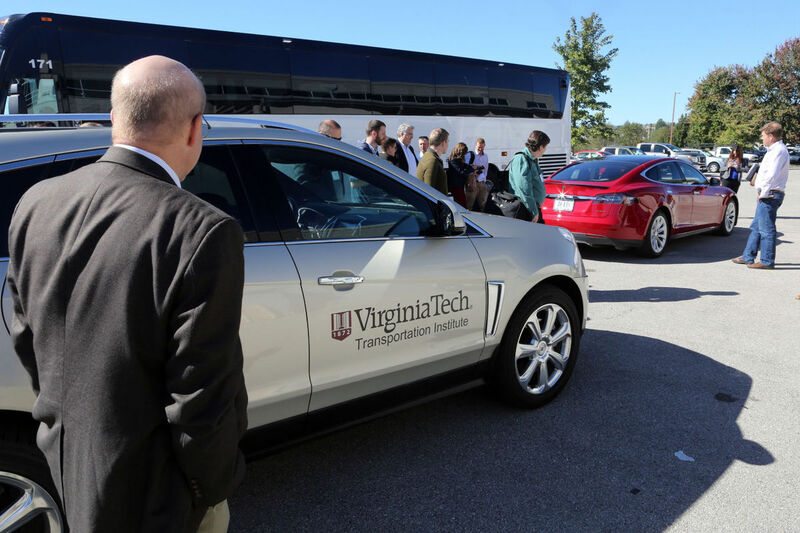 BLACKSBURG, VA– The NRV begins training part of its focus on the Unmanned Systems industry with a tour of Virginia Tech’s new drone cage and the Smart Road at the Virginia Tech Transportation Institute at the end of a conference hosted by the Ridge and Valley chapter of the Association for Unmanned Vehicle Systems International. Read more from regional leaders like John Provo, director of the Virginia Tech Office of Economic Development; Charlie Jewell, executive director of Onward NRV; and Michael Fleming, CEO of TORC Robotics in the full Roanoke Times article. Because of the current base of technologically advanced jobs in the NRV and the region’s suitability for hosting this job market, Information Technology is one of the target industries of focus for the NRV. 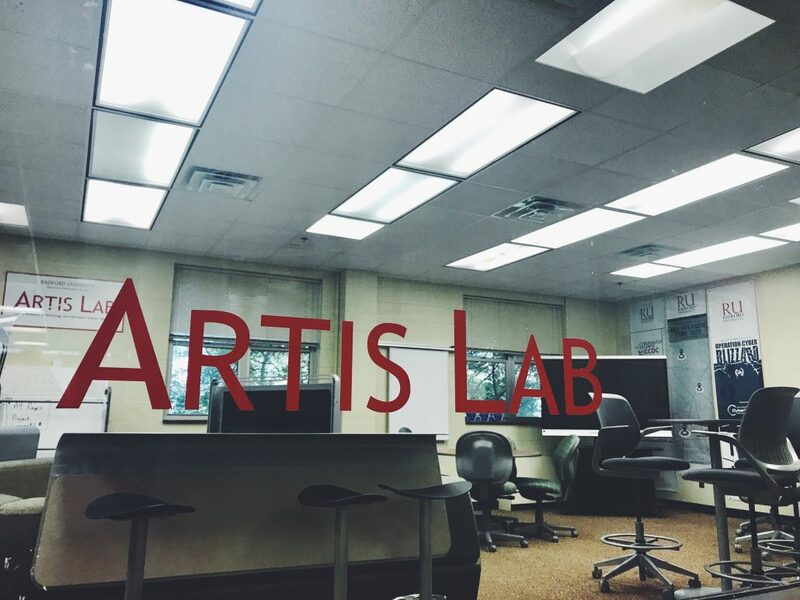 Our focus on Information Technology can be broken down into 4 sub-categories: Software Development, IT Support Services, Cybersecurity, and Digital Creatives. High-tech jobs also fall under other targeted industries in the NRV like Unmanned Systems and Advanced Manufacturing. 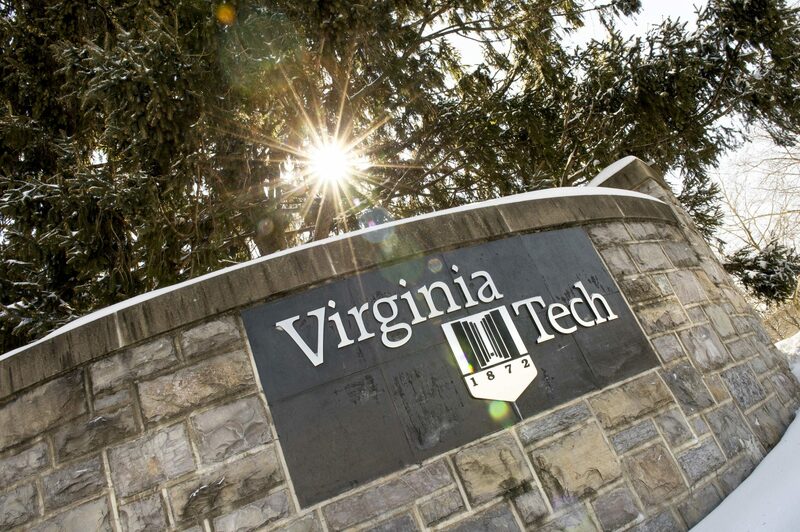 Virginia’s New River Valley has some of the best access to talent in tech industries. Considering it is a great place to live with a more affordable, down-to-earth culture, and exceptional access to research and innovation, the NRV is a natural fit for growing high-tech companies. 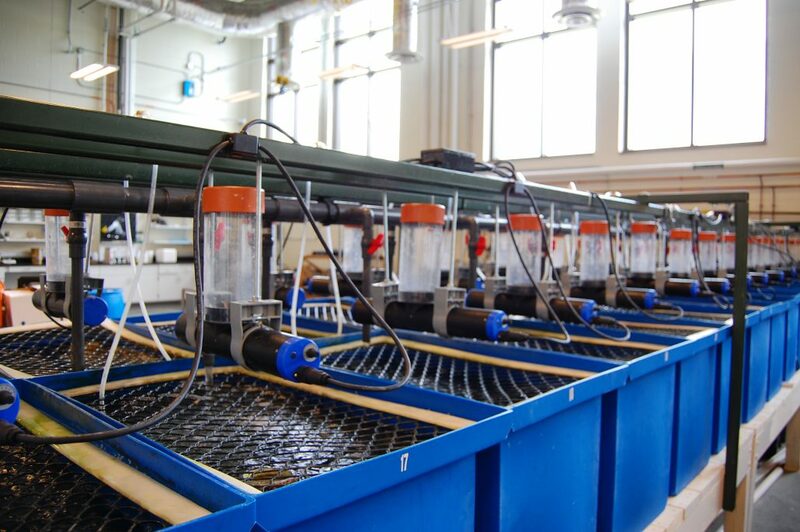 For more information about the Select USA high-tech industry study, click here. 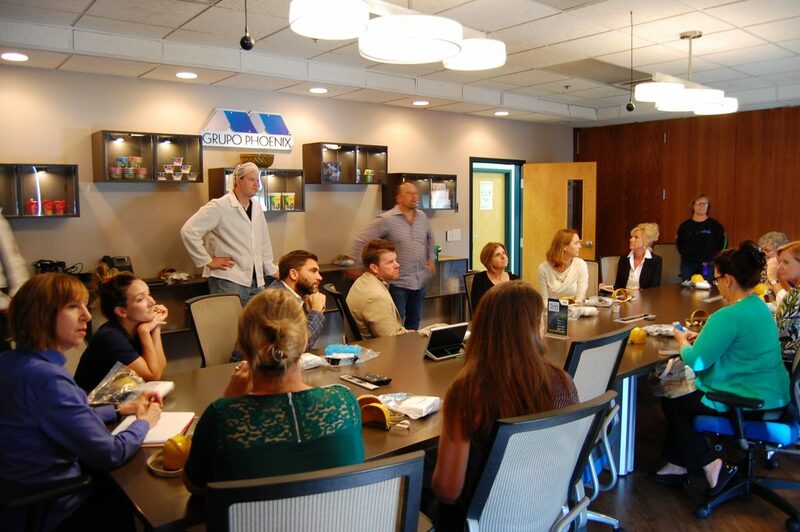 Sixteen team members from Virginia Economic Development Partnership, hosted by Onward NRV staff, visited Virginia’s New River Valley from August 23-24 to learn more about the region’s communities and targeted industries. With an aggressive schedule, the team was able to make 15 stops on their short tour. For Advanced Manufacturing, visits included a tour of Phoenix Packaging in Pulaski County and a tour and lunch at New River Community College to see the training programs in Electronics Technology, Instrumentation and Control Automation, and more. 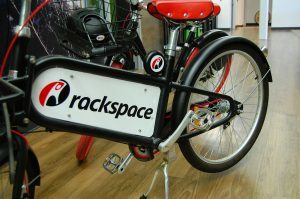 To learn more about Information Technology in the NRV, the group toured Rackspace to learn about existing industry and Radford University’s ARTIS lab, which provides a top-knotch learning environment for students who leave ready to enter the workforce. 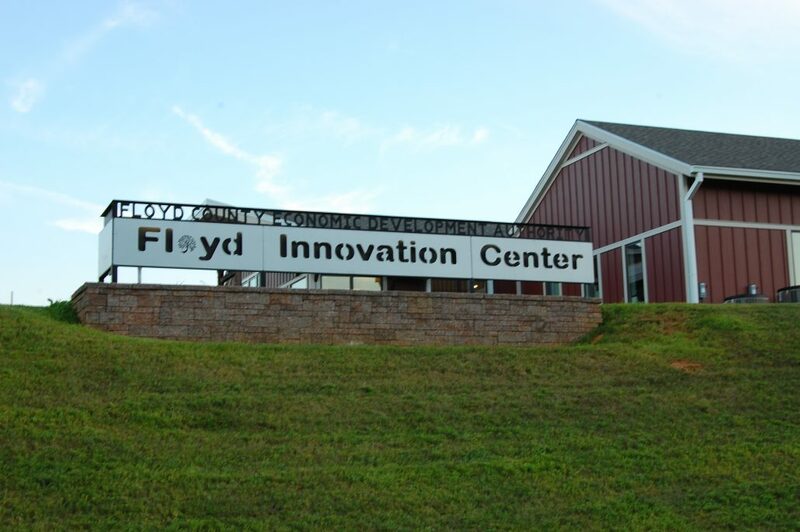 The group was also able to see suitable sites for IT companies such as the Floyd Innovation Center and Wheatland EcoPark in Giles County. Information about Food and Beverage Processing manifested in a tour of the Virginia Tech Food Science and Technology facilities including the Sensory Evaluation Lab, Food Safety Pilot Plant, the on campus brewhouse, and more. A tour and wine tasting at Chateau Morrissette in Floyd County gave VEDP an inside look at existing industry in the NRV as well. 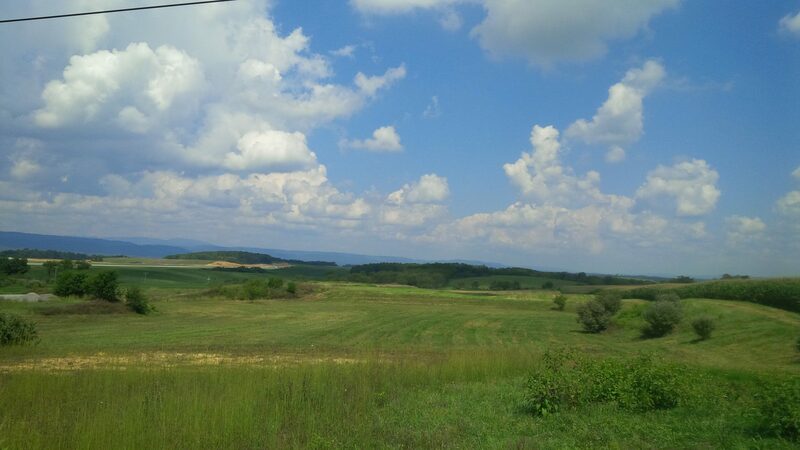 The beauty of Virginia’s New River valley was not overlooked. The traveling during to tour allowed for beautiful scenic routes and stops at mountainous overlooks. 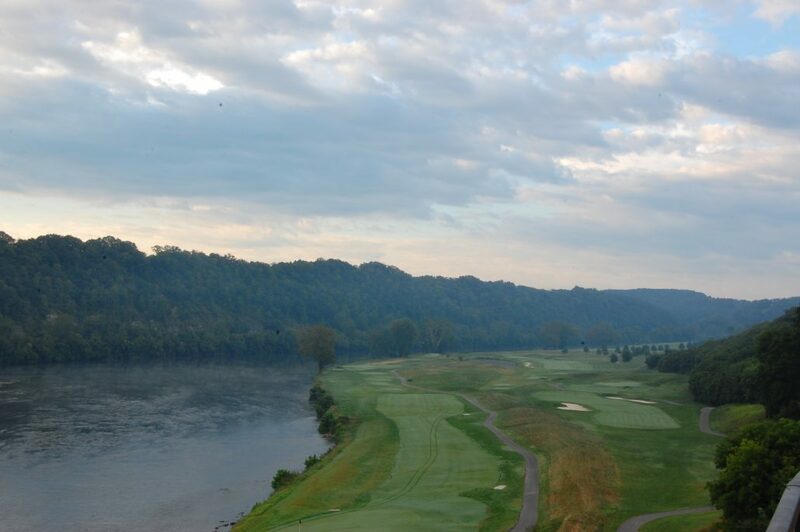 A delicious breakfast at the Pete Dye River Course in Radford, VA provided an additional view of the New River. 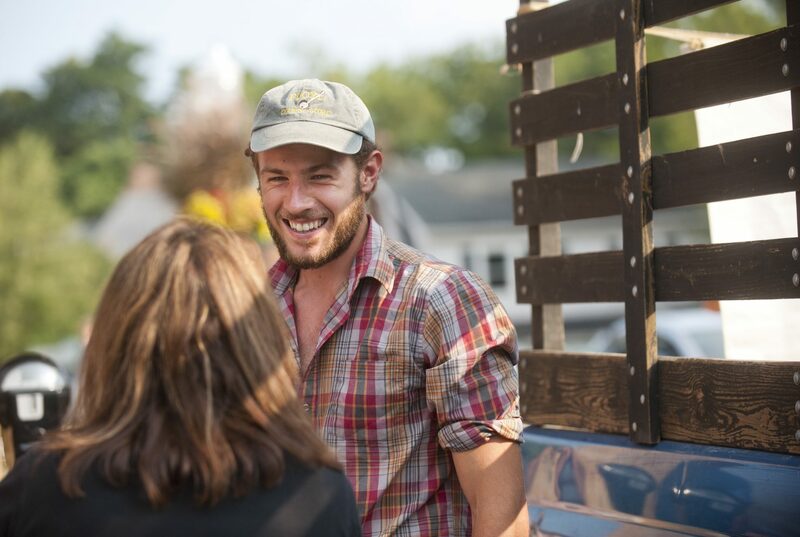 Meals during the tour were catered by Prestons at the River, The Blue Door Cafe at Draper Mercantile, The Palisades, and The Floyd Country Store. 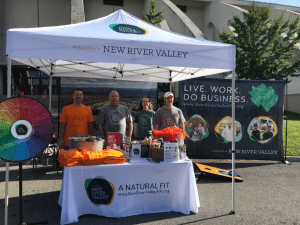 The tour ended with a visit to New Rivers Edge Outfitters, which gave the crew a taste of the outdoors and a look at what living in Giles County and the rest of the New River Valley is like: A Natural Fit.